The property and real estate market is always growing and expanding due to the changes in technology and because there are always young people looking to become homeowners. The impact homeownership has on the environment is also a big factor in how this market is changing and new real estate companies will have to adapt based on that. When you’re thinking about property-related trends, it’s important to have in mind that a home is usually a once-in-a-lifetime purchase and trends come and go. Choose a home that you’ll love regardless of what’s hot on the market right now. Green homes are becoming more than a trend in the modern property market. It’s becoming a norm because almost all homeowners want to know that their home is built in a way that makes them a part of the surrounding environment instead of detriment to it. This starts with using the materials that don’t damage the environment and can be recycled, but it goes much further than that. Most importantly, modern homes need to be able to go off the grid and use as much renewable energy as possible. The importance of storage is also increasing because storage space allows the main property to be slick in its design easy to maintain. At the same time, a storage space can be used in a lot of diverse ways and a modern family will probably change its purpose a few times during their stay in a home. The size and location of the storage space isn’t its most important feature. It also needs to be well insulated and lit in a practical way. That way, a storage space can be turned into a garage or even into a home workshop after a few modifications are made. Lately, the residential property developers are making sure that the properties can easily be customized and its main purpose changed according to the needs of the occupants. There are a few reasons for this approach. First of all, it allows the home owners to quickly modify their home based on the changes in lifestyle and day to day obligations. Secondly, customizable property can also be changed according to the needs of those who plan to purchase it, making such homes much easier to sell and therefore more valuable. The hardest trend to predict is probably the most important one for the future home owners. The price of property will probably go up, but it’s difficult to be sure how fast and by how much. 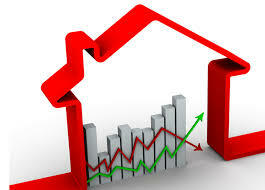 The mortgage rate will probably go up in the years to come at the rate of about 5 percent. There’s a pool of those looking to purchase a new home, but at least a portion of them will be disincentivized by the growing mortgage rate and some simply won’t be able to take out a loan to purchase a home. The property market is changing based on a variety of outside factors. First of all, homes are being adapted to the needs of young and mobile homeowners. At the same time, property value is going up, as more new technologies are used in the construction in order to make it eco-friendlier.